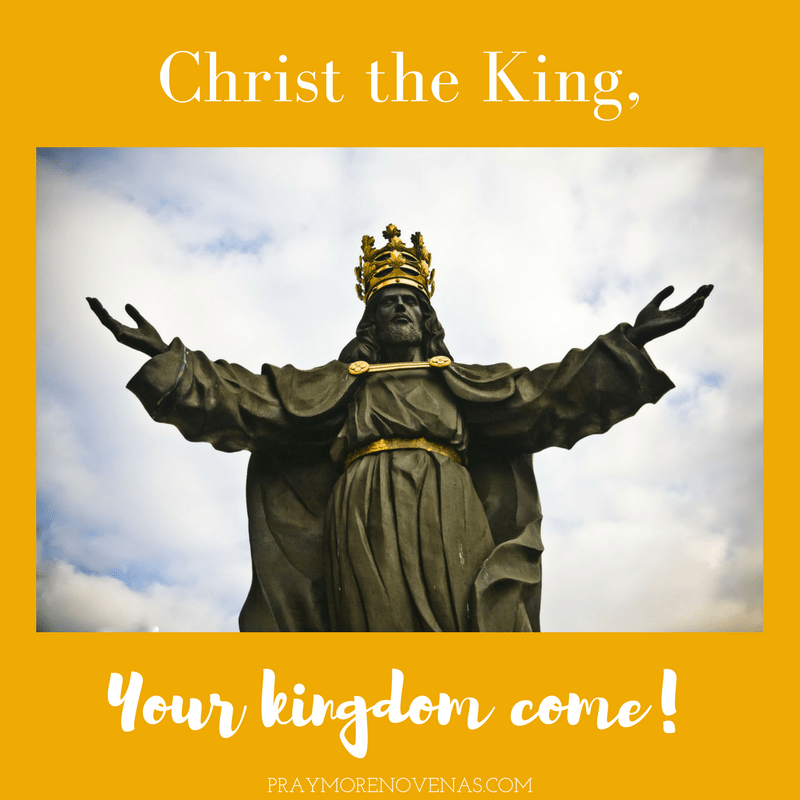 Here’s Day 3 of the Christ the King Novena! Dear Jesus and Mary, please help heal me from serious heart disease, and if it be God’s will, that I and my family are able to accept God’s will. Please bring me back to the spiritual healing of confession that I have fallen away from so many years ago. Help me overcome my fear of confessing, and embrace all of God’s love and forgiveness that he has for me. Please heal my son and husband from their spiritual, physical, emotional and mental difficulties as well. I pray that all victims of adultery are vindicated by the promises made to us from our Lord. God said he would give us beauty for our ashes and make all wrongs done to us right. I pray that all adulterers and adulteresses are held accountable and reminded every second of every day and every night of their non-virtuous acts and the risk of losing their soul. I pray that adulterers and adulteresses be exposed for all to see. Abba father,Lord Jesus if it is according to your will change the situation in our home bring michael back home and let him bow down before you not other gods.Lord graciously hear us. If it be your will, I ask for for full recovery from my ongoing health issues. I ask that my family get to know Jesus so that we can have a relationship once again. I ask for blessings for all asking for prayers during this novena. I ask this in Jesus’ name, Amen. I pray for Lorenzo and Cassie to have a long, healthy, happy and strong marriage. I pray for Gee to be protected by angels against all evil. A more selfish prayer, pray my nephew and his wife, will have a strong desire to want to see us more often than 3 times a year. I pray for my son’s mental health and that he remembers the importance of keeping Christ in his life, that he will start attending mass again. I also want to pray for my daughter that she passes her Equine therapy exam so that God can continue to use her as an instrument to help those with disabilities. Finally for all the intentions of those requesting prayer. Prayers to all suffering from diseases that are out of their control. For Zoe Campos’ family and friends, may they finally find closure in what happened to Zoe. God be with them in this time of need, lay your loving arms around them. For my sons that they may soon find jobs. Thank you all for my prayers. Thank you so much for the works of prayer that you continue to do. Please pray along with me for the total restoration of my family. In particular, that my beloved wife and I would reconcile fully and that our family may be healed. I love her deeply. We have been separated for several months. Please pray that the tangled web of emotions and pain would be undone Thank you. I Pray for my Wife Rita for she has stage 4 Lung Cancer , That at the moment her Caner is Stayble . And that it will stay as it is and that a they will find a cure. I Pray every day for all how have Cancer. That they all be Cured . And live a normal Life. To draw closer to Jesus every day. May Riley s application be successful.